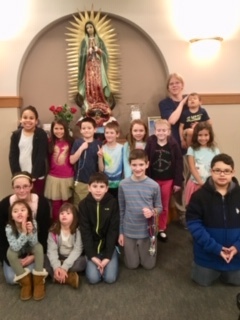 The Children’s Rosary group leader from St. Mary of the Expectation in League City, Texas USA recently shared some of her experiences from her Children’s Rosary. Her group held a recruiting effort after Masses a few weeks ago. She reported that several new members signed up. 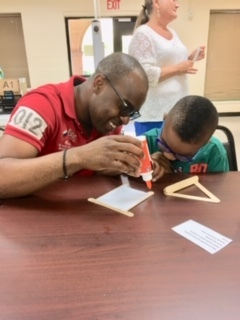 One of the new members, a 6 year old girl named Emma, was so excited that she told her mom, “This is fun, can we come back tomorrow?” Her mom had to explain that they would have to wait until next month! -We initiated our 1st Children’s Rosary on the 2nd Saturday of October, 2016. -We have a guitarist who joins us to play the “Ave Maria” in between mysteries and “The Children’s Rosary” song at the end. -On average, we have about 10 children who attend; although we have around 20-plus children signed up. 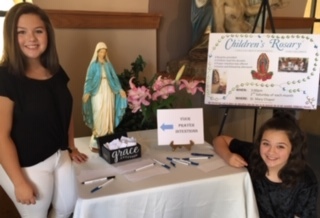 -A reminder blurb is placed in the bulletin and an announcement made from the pulpit after Mass on the weekend before the Children’s Rosary. -The children lead each decade of the Rosary. -In between decades, a child will place a rose at the feet of Mary. -After the Rosary, we meet in the school building for snacks and a different fun activity, which is planned for each month. Purchasing garden kneelers at the Dollar Store where each child personalized it with their name and drawing (this was to encourage them to kneel). 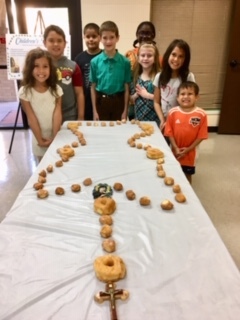 Making a large Rosary out of doughnuts and doughnut holes (they got to eat it afterwards!). 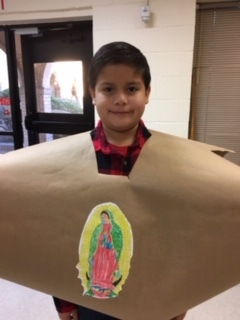 Making St. Juan Diego tilmas (We try to correlate our activity with the current calendar feast day or season). 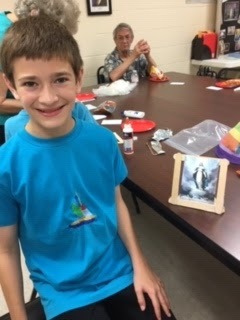 Making stand-up picture frames out of popsicle sticks and pasting different pictures of Mary. Color pictures for each of the 4 Mysteries of the Rosary. An activity using colored water and dropping in fizz tablets indicating how Jesus & Mary get very excited when we pray. May crowning – we prayed the rosary outside using the large Rosary stepping stones and crowned the statue of Mary. WE ARE GRATEFUL TO THE CHILDREN’S ROSARY GROUP LEADER FROM LEAGUE CITY, TEXAS FOR SHARING HER EXPERIENCES!!! Don’t forget to unify prayers with the children during their meetings. A schedule of meetings is present on our website. By clicking “Join in Prayer” you can add your gold flashing light to our View from Heaven map.